The Family Law group at Pashman Stein has established a reputation for excellence and sophisticated representation in all areas of matrimonial law. We understand that each individual and each family are different and have different set of priorities and issues to address. We are sensitive to these unique issues and to the emotional components characteristic of most family law issues. Our firm’s attorneys are experienced in handling the most difficult matters with exceptional thoughtfulness and they understand that a client’s comfort level is paramount when making deeply personal decisions affecting his or her family life. Pashman Stein has the unique ability to draw on the experience of other practice areas interconnected to family law issues (such as trusts and estates, taxation, bankruptcy, commercial litigation and corporate asset protection), while at the same time providing client’s the personal attention of a small practice. Our practice extends to virtually every aspect of the family law/matrimonial law forum, including prenuptial agreements, divorce, equitable distribution, asset protection, child custody, alimony, child support, domestic violence, DYFS, grandparent rights, civil unions and more. In addition, we offer alternate conflict resolution in the forms of mediation and arbitration. 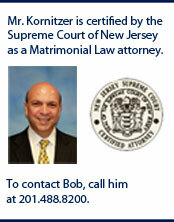 We are here to help you with all your family legal issues. If your case is in need of experienced lawyers who will advocate for you and go the extra mile to succeed, you must call us at 201.270.4938. NJ FAMILY 4U Blog at WordPress.com.